Okay, so maybe I am the only one with an eccentric enough sense of style to love the pom pom sandals that have been cropping up. The are happy, fun, and look so fresh for the season. The problem? No way am I going to spend $100+ on them. My solution? A DIY project of course! **Warning** I know this may come as a shock to some, but hot glue is…hot! Take care not to burn yourself, which like likely eventually happen anyway. I like hi-temp because it gives me longer to work, but if you have sensitive skin, get yourself a low temp clue gun. 1) put on your sandals to get a rough idea of where you want pom poms and what you want them to look like. 2) Start glueing! Remember to be careful with the hot glue, and hold the pom poms in place for a couple of seconds before releasing. 3) let your sandals cool, and start wearing! Remember hot glue isn’t a permanent thing, so keep your extra pom poms around in case you wear them enough to need a repair! So i’m in the midst of what I call “Operation Christmas Pajamas” and I’m grateful for all the sewing gadget I have collected over the years that makes this project so much easier! A little background on the project: Approximately 7 years ago I started making Christmas pajamas for my two nieces. It was a tradition my mom started with my sister and I as kids. She didn’t make our PJ’s but she let us open our new Christmas PJ’s on Christmas Eve. It was the only thing we were allowed to open, but we got new PJ’s and it’s a memory i’ll always treasure. So when my second niece came along I decided to start making the kids Christmas PJ’s because I love to sew! Fast forward 7 years and I now have 6 nieces and nephews! Phew, so what was once a fun little project has now become an “operation” but I love every minute of it, even the parts with my seam ripper when you’ve torn it apart six times and still haven’t gotten it right. (Seriously my best friend – the seam ripper) And my oldest niece who is 10 didn’t fail to mention when she saw me last, that the only gift they get to open on Christmas Eve is PJ’s from Auntie Em! I love that they love this tradition too! 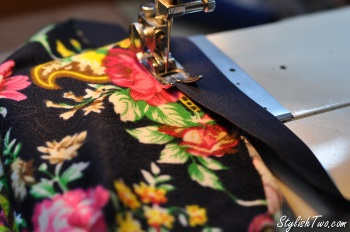 If you’re new to sewing and want to try it out I highly recommend starting with PJ pants! 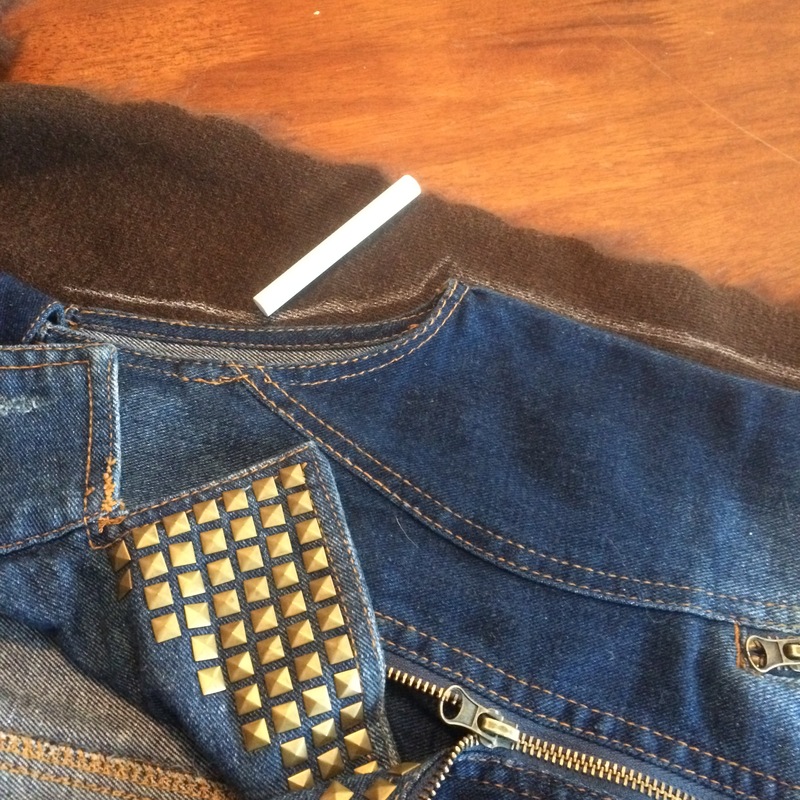 Possibly the easiest thing you’ll ever sew! And if you mess them up a little, no one will ever see them! So here is my list of must haves! 1st: Fiskars Easy Action Scissors, your sewing lover will absolutely love these! When you’re cutting out a lot of pieces your hands get tired and cramped. These little babies make cutting a breeze. But make sure your sewing lover hides them! They are amazing and they are for cutting fabric and sewing only! Don’t use them for everyday use, dull scissors are the worst! 2nd: That little pin cushion you see above is magnetic! One of my best friends bought both of these for me a couple years ago for Christmas. Her mom is a avid sewer and said they were must haves! She wasn’t lying! Seriously, you just wave it over you pins and it picks them all up! I even wave it over the floor to make sure I haven’t missed any that got away when I was sewing! And it’s so much easier to pick them up from this little disc then a box or a standard pin cushion that really requires 2 hands! 3rd: This one is a bit of a splurge, but it’s worth every penny. 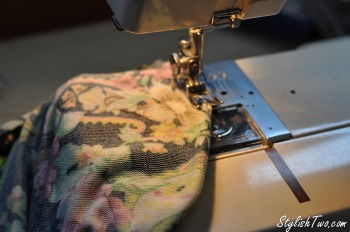 Seriously, if you are going to be sewing clothing, especially for children, buy a serger! This little puppy rolls hems, overlocks stitches, cuts seam allowances and generally cleans everything up. But what’s great, the really best part about it, is that it really keeps seams from unravelling. So when you are making things for kids, and it’s going to get washed a million times, this is a must have! 5th: A great sewing table! You can see my sewing table above. It would originally have had a sewing machine that sat on top, or folded down in to the table. (my mom has one that folds down, so cool!) But this one my mom and I found at an antique shop, little did they know i’d actually use it as a sewing table. The round gears and the bar on the bottom would have propelled the sewing machine like my foot pedal does now. But really, it’s important to have a good table to work on. Something that doesn’t rock or shake! 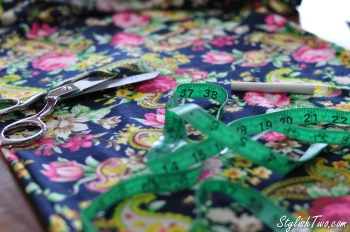 And if you have a sewing room, a large pub height table to cut patterns on is ideal. I don’t have a tall table so I cut my patterns on the floor! Not ideal! And after cutting out 6 kids pi’s my back and shoulders are telling me I’m not as young as I used to be! I hope this helps you decide to become a sewer, or helps with what to buy someone who already is a sewer! S and I love to sew, it’s just kind of this thing we do! Have a wonderful holiday season! Cheers and blessings to you all! DIY: Have a stylish holiday! Make a dress form tree! 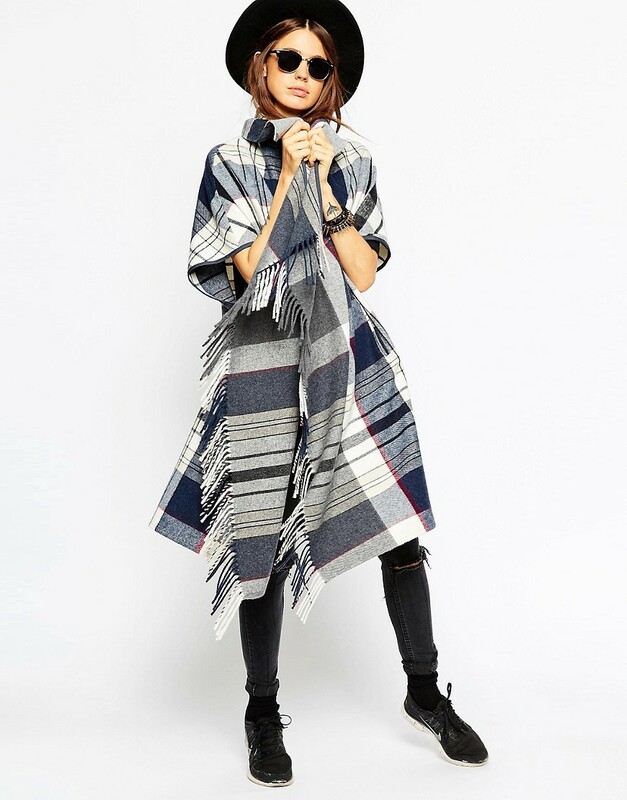 One of my favorite trends as the weather gets colder is the blanket cape. Its an oh so cozy way to stay stylish as move forward into fall. Want to explore this fun trend at a more budget friendly version than the ASOS? Try a DIY version! A polar fleece throw blanket, preferably in a fun print! 1) Start by folding your blanket in half, then in half again. You should now have a square-ish shape a quarter of the original blanket size. 2) Next cut all the way down one of the folds. This will give you a cut in the blanket, centered on one side, and all the way to the middle. 3) Blanket stitch along your cut. Don’t know how to blanket stitch? Check out this YouTube video! Note that you are not sewing two pieces together, you are just finishing the free edge. This Why I Wear Bad Pants from The Man Repeller. Fashion is an expression of who you are, and it has the ability to change the way you feel about yourself–she gets that better than anyone! DIY Turtleneck Choker, by Love Maegan. These turtleneck chokers were all over the fall fashion runways, so try her easy, and inexpensive, way to make one for yourself. I absolutely will! Dear Fashion Editors, Stop Letting Me what I Can’t Wear in my 30’s. Sometimes you just want to wear what you like. I don’t care that I’m in my 30’s. If I want to wear a leopard print mini with my black pumps…I’m going to do it! Dress for yourself, not for your decade! Not sure how to wear that Boiler Suit we mentioned last week? Check out this video by Top Shop for some inspiration! A Post A Day in May: Happy Mother’s Day! Looking for a last minute idea of your mom that is way better than a card? Get dressed up, and take a picture with a sentimental message on a sign! Thanks mostly Taylor Swift, this trend has been building momentum for a while now. While matching separates can look like something you wore in kindergarten, when done right they can also be pretty amazing! Personally, my favorite is a wild print, with a cropped top and a high waisted skirt. Can’t find the perfect one? Or maybe you just want to play with the trend without breaking the budget? Consider making one with these simple steps! 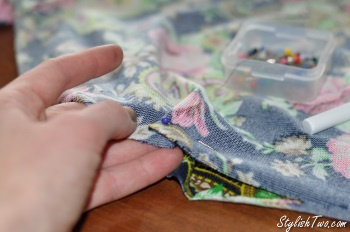 I use a sewing machine, but you can use a needle and thread if you don’t have one! Personally though, I think all good fashion forward women should own and know how to use a sewing machine, it makes projects like this so much easier! 1. Try on your dress, and mark it where you want the bottom of your shirt. Remember, cropped tops are perfect for a higher waisted skirt! 2. Mark across the width of your dress, making shirt the sides and middle are the same distance from the bottom. Then cut so now you have a separate top and bottom. 3. Time for darts! These are little sewn triangle shaped areas that make the fabric match the curve of your body. The back of the skirt should have two darts. Then make two more on the back and front of the top. 4. Sew your darts! Not sure how? Check out this website! Final step! 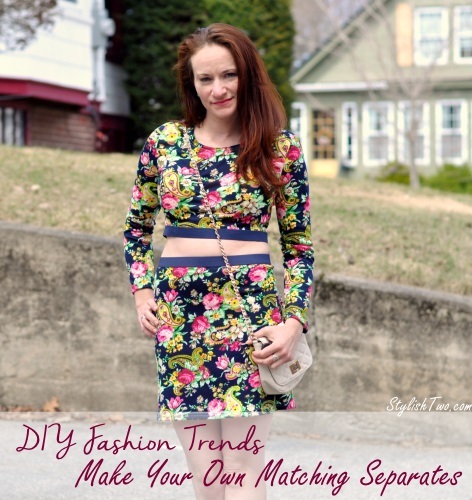 Rock your fantastic new matching separates! 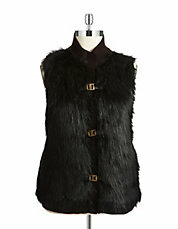 Fur vest have been trending this winter, and I have to confess I am loving it. Especially with the cold temperatures and frequent snow storms. In faux fur seems perfectly cozy this season! While stores offer a wide variety, I was struggling to find exactly the perfect one, at least, in my price range, so I decide to try to make my own! 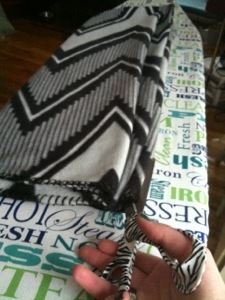 1) Lay out your fabric, folded in half with furry sides together. 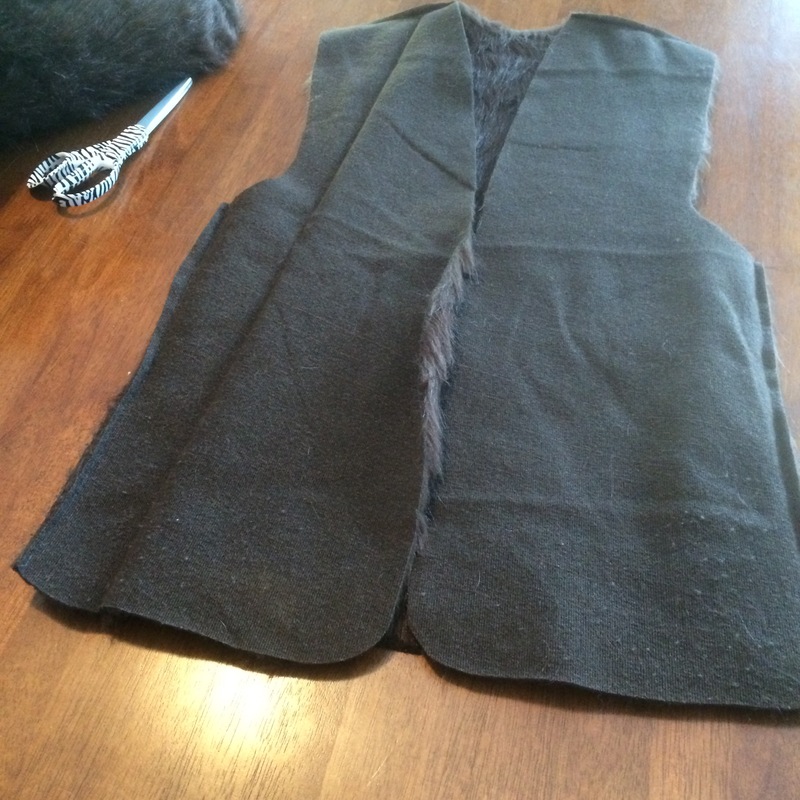 Trace out your vest, with an extra half inch around the outside to allow for the seam. 2) Cut out along your traced lines. You should have two identical pieces. One of them will be the front, cut this piece in half, and shape it however you like. I rounded the front corner, and had it arch out to create the V part of the neck, which you can see below. 3) Now you should have three pieces. 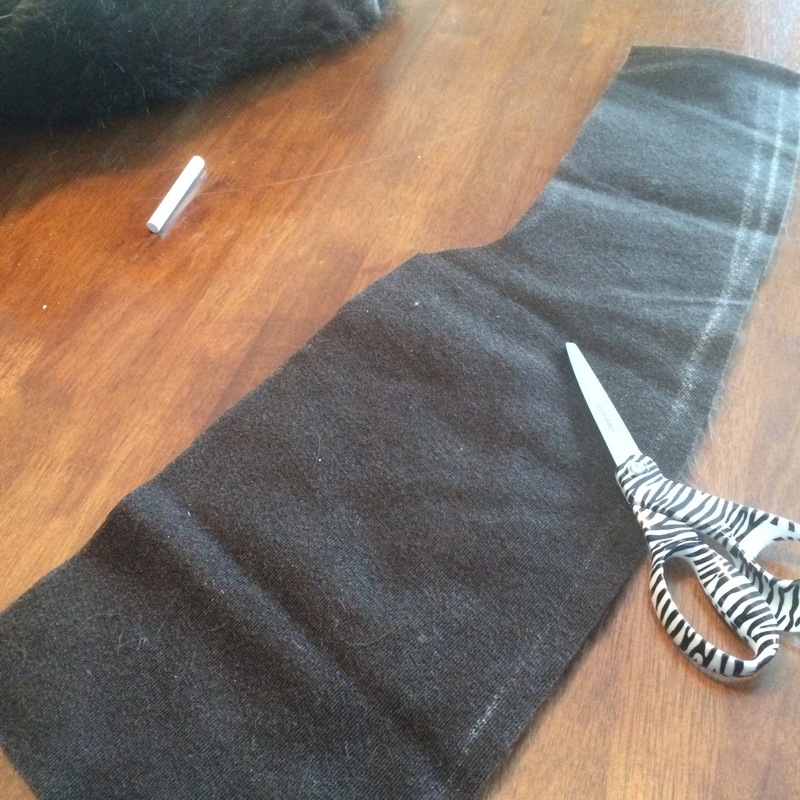 Lay the two front pieces on top of the back, furry sides together, with matching seams aligned. Sew along the top edges, and down the two sides, under the arm holes, as seen below. Turn it right side out, and ta-da! 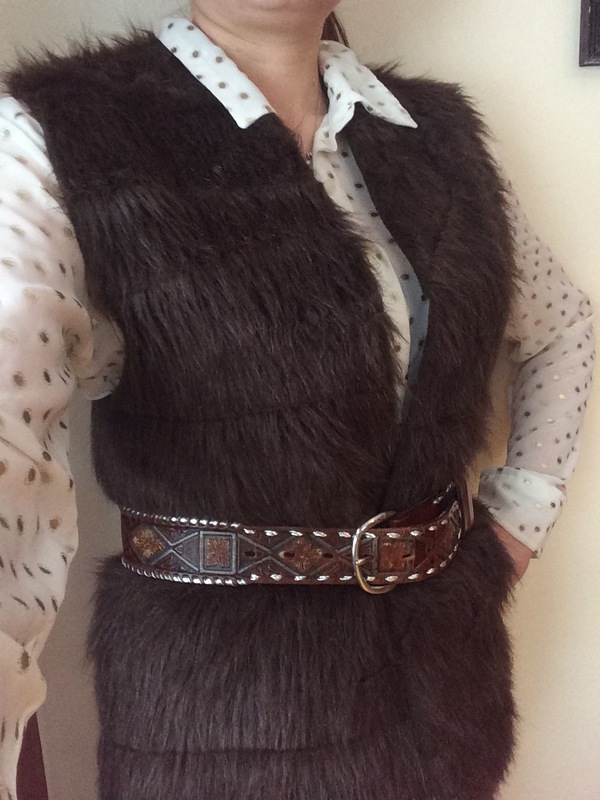 You have an easy, but fantastically stylish faux fur vest! Check back Monday for my outfit of the week post, to see it in an outfit!